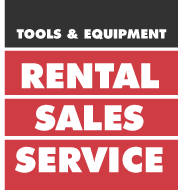 Contact Kerrisdale Equipment Vancouver Today! Betonamit Cracking Agent, Per Bag!! Brick Jointer, 1/2" x 5/8"
Brick Jointer, 3/4" x 7/8"
Brick Jointer, 3/8" x 1/2"
Carbon Steel Trowel, 11 1/2" x 4 1/2"
Dura Foam Gun Dispenser 7"
Dura Foam Gun ENER13 "A"
Hilti Dust Guard Cutting 5" DC-EX 125/5"
Hilti TE DRS-Y Dust Removal Sys. Mag Float, Hand 16" x 3-1/8"
Makita Sanding Belt 1-1/8" x 21"
Margin Trowel, 5" x 1 1/2"
Pointing Trowel, 5" x 2-1/2"
Pointing Trowel, 6" x 2-3/4"
Rubber Float, Moulded 9" x 4"
Tie Wire, MAX Steel 16 Ga. 1lb. Tuck Pointer, 6 1/2" x 1/4"
Tuck Pointer, 6 3/4" x 3/8"
Tuck Pointer, 6 3/4" x 5/16"
Wire Cup Brush Knotted 2.5"
* Prices are subject to change. Damage waiver and other fees not shown in above price estimate. * Please call us for any questions on our concrete & surface sales in Vancouver BC and metro area. © Copyright 2013 Kerrisdale Equipment Ltd. All right reserved. Kerrisdale Equipment offer tool & equipment sales and rental in Vancouver and throughout Canada which inlcudes: Bobcats (skid steers), mini excavators, track loaders, plate tampers, reversing plates, double drum rollers, concrete breakers (jack hammers), scissor lifts, boom lifts, material lifts, genie lifts, fork lifts, conveyor belts (miniveyors), chain hoists, come-a-longs, air compressors, rock drills, rivet busters, pressure washers, generators, laser levels, transits, sanders, tile saws, brick cutters, masonry saws, concrete saws, core drills, concrete floor grinders, dustless concrete grinders, scarifiers, shot blasters, pumps, dehumidifiers, ozone machines, fog machines, fans, air movers, pedestal fans, heaters, metal detector, pin locator, ladders, scaffold, welders, nailers, staplers, pipe threaders, pex crimpers, drain cleaners, concrete floor grinders, Kubota products, track loaders.